Our 2019 ETI educational sessions have been archived and are available to view now. Thank You ETI Sponsors and Exhibitors! Thank you for supporting MCPA's annual ETI Conference and Law Enforcement Expo. 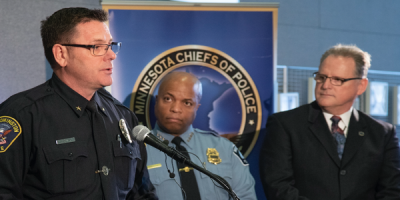 MCPA is Minnesota’s leading voice on law enforcement issues. Our agenda is developed with input from police chiefs, law enforcement leaders and public safety groups. MCPA provides timely, critical support to police chiefs and command staff across the region. MCPA is a nonprofit, professional membership organization bringing the highest quality of police services to the people of Minnesota.